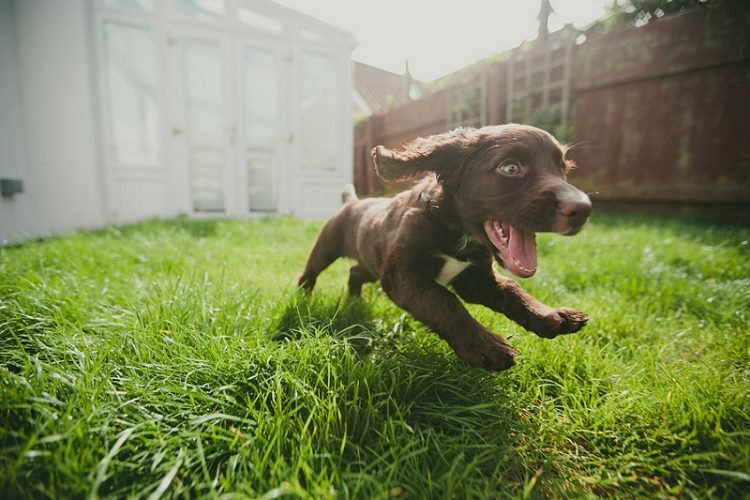 There are many reasons a puppy may limp. Heading the list are muscular sprains and strains. Watching a precious puppy hobble around the yard is enough to give anyone concern. 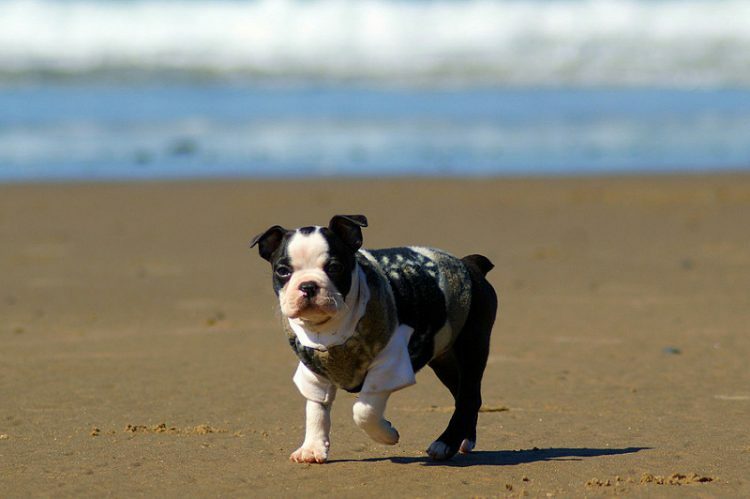 But how serious is lameness in a puppy? It depends. Is the limp something simple, like a sprain, or more serious, like a fracture or hip dysplasia? Recently, Royce’s very concerned human came in with the 10-week-old puppy and immediately put him on the floor so I could watch his hobbling gait. She told me she was worried Royce had hip dysplasia. I also noticed he was struggling to find his paws on the slippery surgery floor. A thorough examination showed Royce had no pain or discomfort in his hip joints. He was likely suffering from nothing worse than a lack of coordination common to many young pups. I explained this as well as the fact that it’s difficult to diagnose hip dysplasia in a young puppy because the joints are still wobbly and unstable to allow room for growth. In part, this is why it’s so important not to over-exert a puppy so that those unstable joints don’t move awkwardly and chip the cartilage lining. True lameness is an indication the dog is in pain. Typically, a short, sharp pain causes the dog to hold the leg up, while an achy, dull pain leads to a limp or decreased weight bearing. Which Leg Is the Problem? There are many reasons a young dog may limp. Heading the list are muscular sprains and strains, so there’s no need to panic if your puppy limps. First allow some rest, and if the problem persists, get your puppy checked by the vet. Trauma is another biggie, and as young bones are soft, this can mean fractures. If the dog’s leg is at a strange angle or won’t bear weight, seek an urgent appointment. It is possible to have a generalized or shifting lameness (limping on more than one leg) if the problem is down to poor nutrition (nutritional osteodystrophy). This can be the result of an all-meat diet or a poor-quality diet lacking in minerals. Another cause of nonspecific lameness is panosteitis. This is equivalent to “growing pains” and affects the long bones of certain breeds, notably German Shepherds. Treatment is simple pain relief, and the symptoms usually resolve when the dog has finished growing. Wobbly kneecaps: Luxating patellas are common in small and toy breeds and “lock” the knee in the wrong position, making it difficult to take a step. Legg-Calvé-Perthes disease: This affects the hip joint (usually just one side) of small breeds. The blood supply to the growing hip bone shuts down too early, causing the head of the thigh bone to crumble and disintegrate. Hip dysplasia: The hip joint should fit into the socket to allow smooth movement. Dogs with hip dysplasia have misshapen hips that cause rubbing, pain and inflammation with each step. Elbow dysplasia: Similar to hip dysplasia, elbow dysplasia’s anatomical quirks affect different bones — which means a different set of problems. Asymmetrical growth: For a limb to be straight and true, all the bones in it need to grow at the same rate. If one bone grows more quickly, this leads to bowing of the limb and lameness. If that doesn’t help, avoid the temptation to give at-home pain relief (those young kidneys are especially vulnerable). Instead, visit the vet. Last week, several years after our first encounter, I met Royce again. I asked his mom how Royce’s hips were doing these days, and she looked bemused, having totally forgotten those early concerns. Royce had indeed grown into his joints and matured into a beautiful dog.